Lincoln Castle Revealed was awarded Project of the Year at the CIOB’s Committed to Excellence in the East Midlands Awards 2015 and the Building Conservation Award by the RICS. The CIOB award is given in recognition of the delivery of an outstanding project that demonstrates quality of design; quality of the finished project; added-value initiatives; completion within budget and time-scales; and health and safety record. 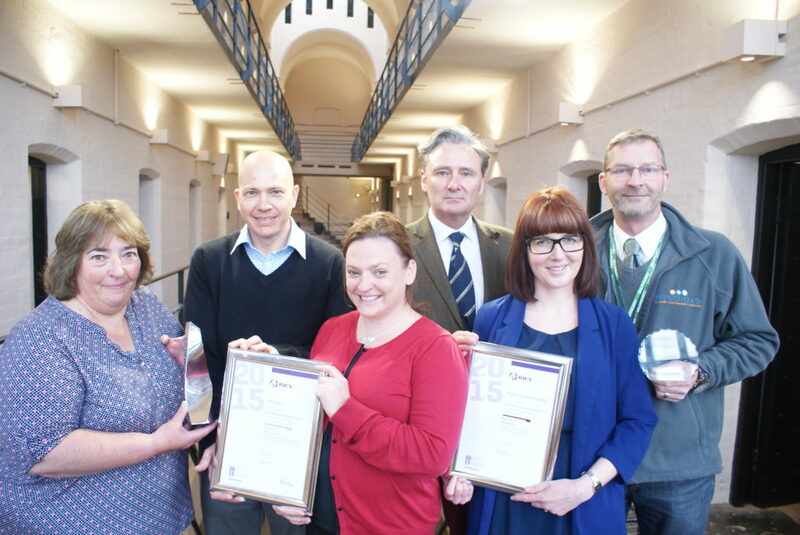 The RICS Building Conservation Award recognised the outstanding conservation of the Castle Walls and Prison. The conservation philosophy, traditional techniques and environmental considerations were considered by the judging panel. The Castle was also Highly Commended in the Tourism and Leisure Category, which honours the positive contribution the project will make to tourism and leisure offer in the region. Mary Powell, programme manager, said: “A small army of people devoted a lot of time and energy to make this project possible, and I’m delighted their efforts have been recognised in this way. “The new-look castle has so much more to offer, and visitors have been flooding through the gates since the re-opening. The Lincoln Castle Revealed project was made possible thanks to funding from the county council, Heritage Lottery Fund, European Regional Development Fund, David Ross Foundation, Garfield Weston Foundation and other private donations. For more information on all Lincoln Castle has to offer, visit www.lincolncastle.com .